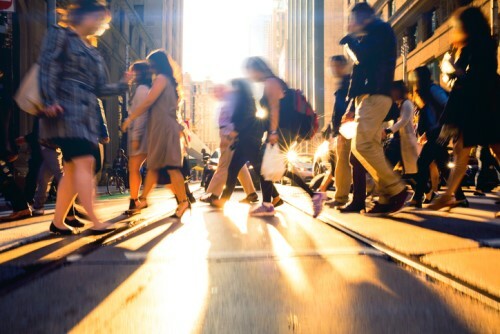 It’s no secret that density is increasing in our Australian cities, with the NSW Government’s projections showing that the state alone will grow to 9.9 million people by 2036. Rising populations are putting pressure on our schools to continue to meet and exceed the needs of students, teachers and the communities they serve. The NSW Government is investing $6bn over the next four years to deliver more than 170 new and upgraded schools across the state. But with increasing student numbers and new schools planned for many communities, how is the design of our schools adapting to the changes? Sam Crawford Architects is a Sydney-based architecture practice with over 20 years’ experience designing public, cultural and residential projects. Director Sam Crawford says schools should think of their campuses as miniature cities and adopt the same level of detail and planning that goes into the design of public spaces. “It’s obviously very important to understand and consider new educational models, such as shared classrooms and flexible spaces that support the latest pedagogies,” Crawford said. Crawford said students spend a lot of their time outside the classroom and that interaction is incredibly important. “Every space can be a learning space – from the cafeteria right down to the amenities,” he said. Crawford says that while considering the ‘in-between’ spaces is critically important, many schools are still falling behind in the design of their buildings and facilities. “A well-designed space will make students more receptive to learning,” he said. Crawford said the lifecycle costs for a poorly-designed building are extremely high and it won’t support teaching and learning – the very thing that is at the core of a school community. However, he added that principals and school leadership teams increasingly understand the value of high-quality design outcomes. “There are already so many obstacles to achieving a great result – tight time frames, sensitive consultation with the school community and budgetary pressures,” he said.